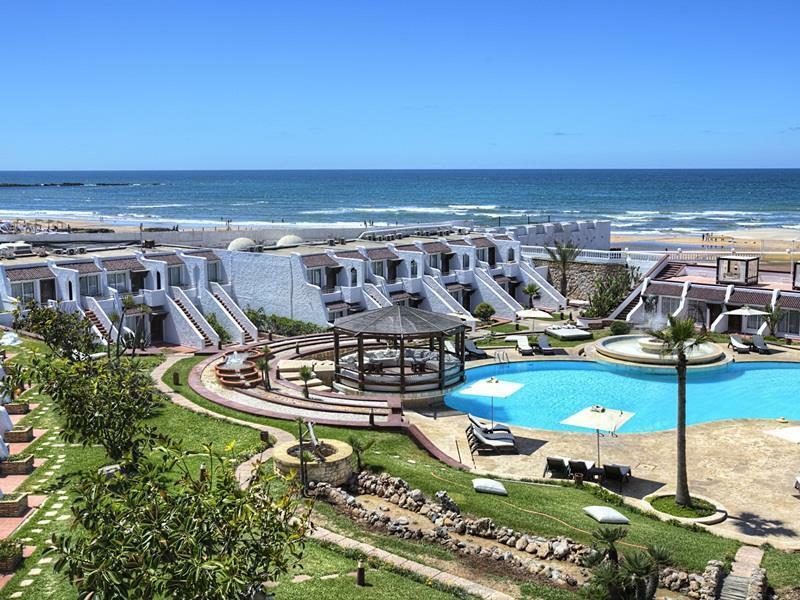 ﻿ Casablanca Le Lido Thalasso & Spa Casablanca. JIMAT di Agoda.com! Ada soalan mengenai Casablanca Le Lido Thalasso & Spa? Casablanca Le Lido Thalasso & Spa, terletak di Anfa, Casablanca, merupakan satu pilihan popular bagi para pelawat. Pusat bandar hanya 5. Km jauhnya dan boleh sampai ke lapangan terbang dalam tempoh 40 minit. Penginapan ini berada di sekitar kawasan tarikan bandar yang popular seperti Anfaplace Shopping Center, Boutique Jerraflore, Phare d'el Hank. Ambil kesempatan daripada pelbagai perkhidmatan dan kemudahan yang tiada tandingan di hotel Casablanca. Untuk menamakan beberapa kemudahan di hotel ini, terdapat khidmat bilik 24 jam, Wi-Fi percuma semua bilik, meja depan 24 jam, simpanan bagasi, Wi-Fi di tempat awam. Hotel ini mempunyai 187 bilik yang sangat cantik, setiap bilik dilengkapi televisyen skrin rata, karpet, internet wayarles, internet wayarles (percuma), tab mandi pusaran air. Pusat kecergasan, sauna, kolam renang terbuka, kolam renang tertutup, spa di hotel merupakan tempat yang ideal untuk anda relaks dan tenangkan diri selepas hari yang sibuk. Nikmati perkhidmatan yang sukar ditandingi dan lokasi benar-benar berprestij di Casablanca Le Lido Thalasso & Spa. Casablanca was the last stop of our trip and we spent 2 nights in Le Lido. The hotel is so much older than we expected, especially the bathroom. The beds were clean and rooms were tidy. The wall of the building is so thin, so basically on the first night, we heard the other residence speaking next door. On the second night, while we were asleep, someone next door opened our connection door inside our room and trying to come in. Luckily my luggage blocked the entrance and those people back off once they heard me shouting to them. I am not sure how they got the key, whether they are just randomly broke in or whether they are the staffs of the hotel. So this is not only about the cleanliness or facilities of the hotel, it's about the security. This is be very unsafe for single traveller (especially ladies) to stay here. 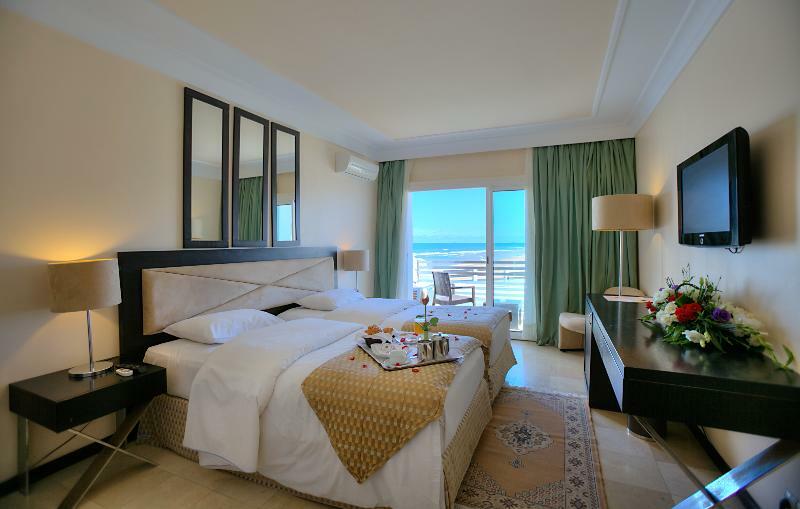 We would not recommend this hotel to our friends even they located right next to the beach with wonderful sea view. I stayed 3 times at this hotel .what makes me come back the location and the lovely hotel staff in all areas. Miss Safaa and kareem and the rest staff are lovely and polite .Fast check in and out .I feel homely at this hotel. The hotel lacks basic facilities such as a coffee, tea or kettle. It’s run down and I would not place it into 4 * category. Restaurant is not connected with the hotel and there’s a lot of steps not suitable for an elderly person, as lift is small and not available at the main entrance. This hotel requires a lot of investment to be called 4*. Broken lift still broken from last visit - we were on 4 th floor and had to carry luggage up and down 4 floors. Dirty, poor service. Inadequate linen provided. Broken light fittings. State of neglect everywhere, broken stairs, broken shower head, broken mirror, paint peeling off, bath tub rusty and simply touched up with enamel paint, receptionist fails to answer calls, we had booked additional bed in room but had to ask 3 times before it was delivered at 10pm. At breakfast no plates were available and we had to ask for plates. Quality of food poor at breakfast. Filthy railings in room, dangerous broken sockets. I want to give this place a good review but cannot. Unfriendly staff, room extremely basic, no mini bar, smelled of smoke, overcrowded pool, fitness facilities are rusted or missing, over priced. Pay less than US$100 and expect nothing. One of few hotels in Casablanca with an outdoor pool. The people were very friendly. A variety of Snacks is offered at the pool bar. 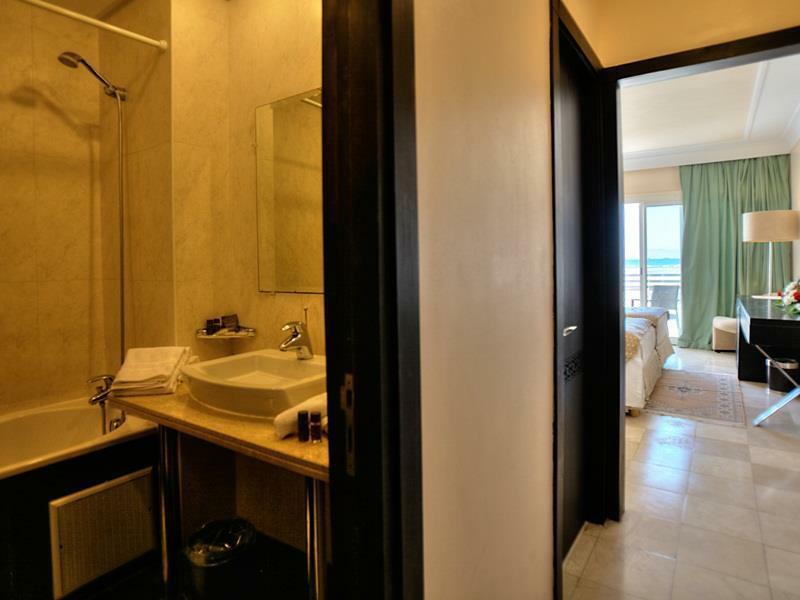 The Hotel is well located and the appearance very nice. Negative: I bought my own water at a store. Coming back to the Hotel I was allowed to keep it but told not to bring any more. The cleaning for towels and bedsheets should be improved. There were often stains on my towel and it was the same for my first set of bedsheets. We were welcomed and shown a beautiful room with a view of the ocean. All of the staff was friendly and went above and beyond. The desk assisted us in getting to the Hassan II Mosque with directions, fare advice for the cab and the schedule. The hotel is close to the beach and with nice pool. However, the room and facilities look a bit old and unclean. Very comfortable and accessible hotel .fast check in and check out.attentive staff to ptoblems and hotel issues. Generally enjoyed my stay and will come back again . Decent place. Probably a little overpriced. Be wary of travel agent they recommend as other tour companies give you way more like hotel stays and food included in price for a lot less. Cons is they choose which customer to wow and what customer not to basically you tip well you are wowed if you do not your not noticed but that is how it is , the lady who cleaned our room was brilliant and the security door man was as well so remember you want to be wowed tip loads. Disgusted to arrive and be told at check-in that the hotel was over booked and that I would have to find an alternate means of accommodation. They didn't even assist with the relocation nor the booking of a taxi to get there! Pathetic!! Lack of management, staff had no direction everything was tired and dirty. Would have left if we hadn't already paid. On the good side the location was good and the pool was great. Think 1970s in Surfers Paradise. The whole hotel from rooms to restaurant needs a total upgrade. We stayed in this hotel at the beginning and end of our travel. First time (on 11 June 2015) it was quite good as the lady on reception helped us to get a good and clean room with nice view. But second time, the man at reception (on 17 june 2015), was really rude and three times we had to change our room as he was giving us the worst options... such as room without AC, room with a very bad view, smelly room etc.In the end we found a room that was a little better but not upto standard and worth of money that we had paid. Good location. Taxi stand just across the road. Mall & restos nearby. Was underwhelmed by the service quality. Clearly, staff were undermanned & untrained. It'd normally take 20-40 minutes for the waiter to bring your order from the poolside. The room phone didn't work, room smelled of rancid socks. My 5-year old daughter stated it stinks in the room as we entered the first time w the bellman. There was a huge cockroach on the bed. Didn't even bother to make a fuzz as to avoid freaking out my wife & daughters as they were in the pool when I saw it. The location, the breakfast and the room. The hotel was OK, but under the standard that we expected. We had reserved and paid for a room with sea view, but got a room facing a brick wall. I had to make a couple of rounds to the front desk before we were up and running with the view, access code to wifi and AC. Everything work out eventually, but it was unnecessary, we could have had it from the beginning! Like a 2 star hotel quality. Good thing is facing sea.